Indian Railways (reporting mark IR) is a state-owned railway company, responsible for rail transport in India. It is owned and operated by the Government of India through the Ministry of Railways. It is one of the world's largest railway networks comprising 115,000 km (71,000 mi) of track over a route of 67,312 km (41,826 mi) and 7,112 stations. In 2015-16, IR carried 8.101 billion passengers annually or more than 22 million passengers a day and 1.107 billion tons of freight in the year. 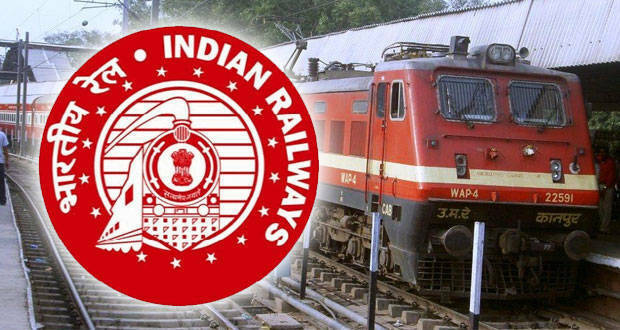 In 2014–2015 Indian Railways had revenues of ₹1.709 trillion (US$25 billion) which consists of ₹1.118 trillion (US$17 billion) from freight and ₹451.26 billion (US$6.7 billion) from passengers tickets. Railways were first introduced to India in the year 1853 from Mumbai to Thane. In 1951 the systems were nationalised as one unit, the Indian Railways, becoming one of the largest networks in the world. IR operates both long distance and suburban rail systems on a multi-gauge network of broad, metre and narrow gauges. It also owns locomotive and coach production facilities at several places in India, with assigned codes identifying their gauge, kind of power and type of operation. Its operations cover twenty six states and two union territories across India, and also has international connectivity to Bangladesh (with Bangladesh Railway) and Pakistan. Indian Railways is the world's seventh largest commercial or utility employer, by number of employees, with over 1.376 million employees as of last published figures in 2013. IR's rolling stock comprises over 245,267 Freight Wagons, 66,392 Passenger Coaches and 10,499 Locomotives (43 steam, 5,633 diesel and 4,823 electric locomotives). The trains have a 5 digit numbering system and runs 12,617 passenger trains and 7,421 freight trains daily. As of 31 March 2016, 27,999 km (17,398 mi) (41.59%) of the total 67,312 km (41,826 mi) route length was electrified. Since 1960, almost all electrified sections on IR use 25,000 Volt AC traction through overhead catenary of delivery.